John Ridley Writes Red Tails History – Write with us! I love the movies! My favorite show, the Academy Awards, airs just once a year and will be on in a few weeks. What typically gets lost among best movie and best actress are the screenwriting awards for original and adapted screenplays. In my opinion, a good screenplay is in essence what makes a movie…well, a good movie. And writing an original screenplay is rather challenging as it’s done just for the big screen. Some of my favorite movies in the past few years with winners in this category are Crash, Juno, Little Miss Sunshine, and The Hurt Locker. Just plain ol’ good story telling. 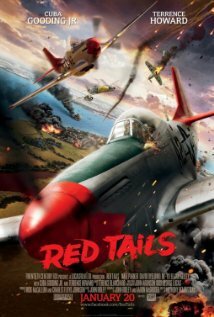 So tonight (or this afternoon if it keeps on snowing) I’m going to the opening of Red Tails. I’m not typically a fan of movies based on war or history. I like drama. I’m really going to “hear the story” of the Tuskegee Airmen; our nation’s first African-American aerial combat unit; told by writer John Ridley. He was charged with pouring through tons of old flight records and logs and historically black newspapers to craft this story. I think you have to be a pretty good writer and story-teller to tell the unwritten and untold story…directly for the big screen. John Ridley might not be able to right history, but George Lucas has given him an opportunity to write it. So I’m going to see it! WE FIGHT! WE FIGHT! WE FIGHT! Previous Post Who will covet your handwritten notes?